Reporting of Injuries, Symptoms, Dis-Comfort, etc. At the end of the course each candidate will complete a multi-choice examination on aspects covered within the course. 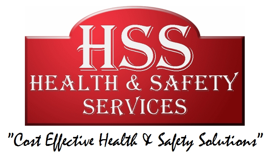 Successful candidates will receive a certificate of attendance and a pass proving competence through the HSS Health & Safety Services DSE Operator / Assessor course syllabus which is valid for 24 months. Who Should Attend: Appointed Persons Who Are to Be Responsible for Carrying Out DSE Assessments. Minimum of 4 persons in attendance during one course on the same day plus travel expenses.